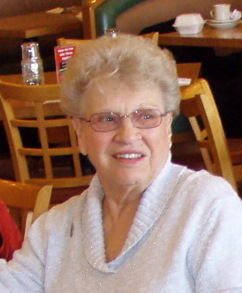 HOFFMAN ESTATES - Dorothy H Mueller, nee VanWezenbeek, age 83. Beloved wife of the late Kenneth. Loving mother of Cheryl (Robert) Schuckles and Jeffrey Mueller. Cherished grandmother of J.T., Lauren, Justin, Josh, Samantha and Jake. Dear daughter of the late Leon and Anna VanWezenbeek. Caring sister of John (Cicilia) VanWezenbeek and the late Betty Ballingall. Fond aunt to many nieces and nephews. In state at Church of the Holy Spirit, 1451 W Bode Road, Schaumburg, 8:30 AM Saturday until time of Mass at 9:30 AM. Interment St. Michael the Archangel Cemetery, Palatine. Funeral information or online condolences, www.ahlgrimfuneral.com or 847-882-5580.